Some will know, but many won’t that whilst Wild Horizons has been based in the beautiful Southern Highlands village of Bundanoon for 21 years – the Highland Fling was not our first race. As we went around the country running adventure events, starting in 1997, we were always keen to run one in our own backyard. Somewhere we could check the course, talk to the locals and ride the course by just hopping on our bikes from home. An event that could contribute to our own community and economy. The first ‘Highland Fling’ was not the Highland Fling MTB Marathon you know today. 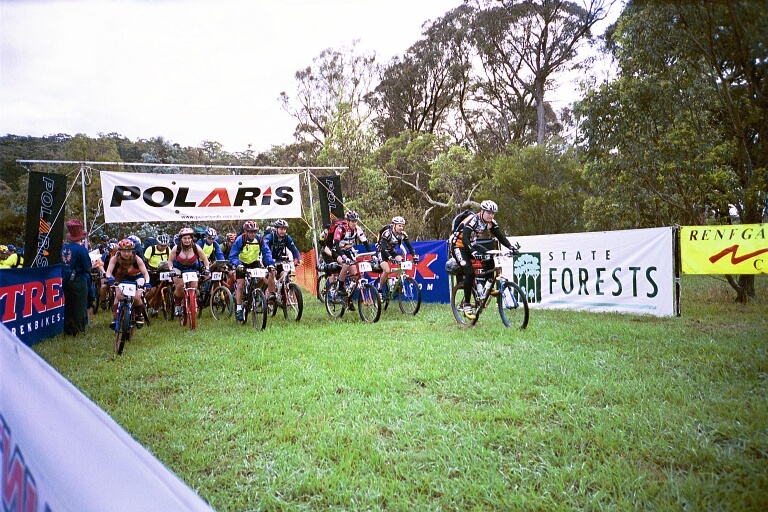 We used to run an event called the Polaris Challenge, a peripatetic event that, for 11 years, moved to a different part of NSW each year. In 2002 we ran it in the Highlands and, given the Polaris always had a theme, the 2002 version was all things Scottish. 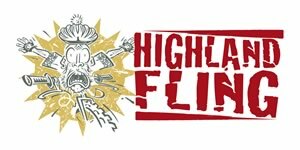 The Flinging Jimmy, portrayed today going over the handlebars in the Highland Fling logo, was the mascot of the 2002 Polaris. So in some ways, anyone who says they have done all the Highland Flings, needed to also have done the 2002 Polaris Challenge. We saw the need for a great mountain bike marathon in NSW, saw the potential of our own backyard and combined the two. And so the Highland Fling MTB Marathon was born. The first event ran on the second Sunday of November 2005, a date we’ve stuck with ever since. More than any marathon in Australia, the Highland Fling takes you on a journey; a journey through native forest, farmland, villages, snaking singletrack renowned across the land, pine forest and much more.